JAKARTA, Indonesia — Flash flooding in the Indonesian province of Papua killed at least 50 people and injured 59 near the provincial capital, Jayapura, disaster officials said Sunday. 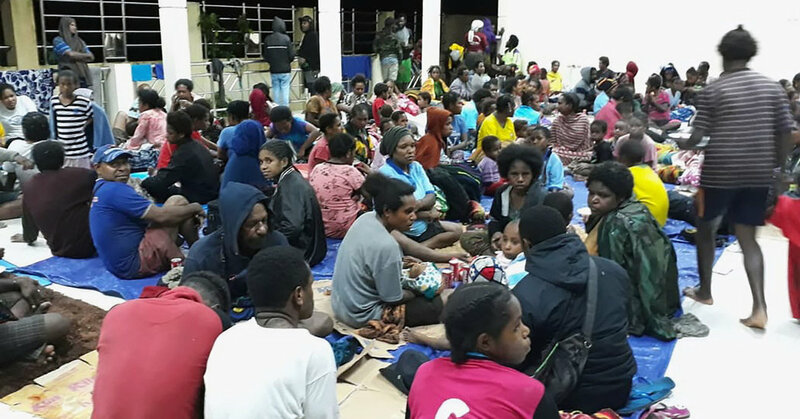 The number of victims is expected to rise as rescuers search for survivors in the town of Sentani, which was hit by the flood Saturday evening. Sentani is the site of Sentani International Airport, which is the largest airport in Papua and serves Jayapura, about 15 miles away. In a separate incident in Jayapura, seven people were killed when a landslide crushed two houses, said the Papua regional police spokesman, Ahmad Mustofa Kamal. The landslide appeared to have been set off by the same heavy rains Saturday evening that caused the flash flood. Suryadi Diaz, a Papua police spokesman, said the overcutting of trees in the hills above Sentani to convert the land to farming had contributed to the heavy flooding. There was little vegetation to slow the flow of water, he said, and small rivers quickly became overloaded. Sutopo Purwo Nugroho, the spokesman for Indonesia’s disaster management agency, said that in Sentani, nine houses were washed away and 150 others were flooded. A Twin Otter aircraft at the airport and two bridges were damaged, he said. “We are still assessing the damage,” he said in a message to reporters. He said there was likely to be more because not all affected areas had been reached. Videos of the scene posted online showed floodwaters rushing through the town at night. In the background, people could be heard crying or calling for help.